India's most famous Sankat Mochan Hanuman Temple is situated in Varanasi. Lord Hanuman is famous in various names in their devotees such as Anjaneya, Kesari Nandan, Maruti, Bajrang Bali, Sankata Mochan etc. Sankat Mochan means the Lord who remove all dangers from his devotee. Among the various famous Hindu temples of the Bishrampur, Shree Sankat Mochan Hanuman Mandir is the famous Lord Hanuman temple. 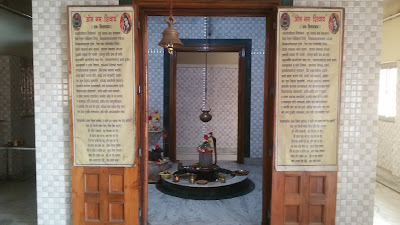 It is also famous as Shree Sankat Mochan Dakshin Mukhee Hanumaan Mandir. It is situated on the main road near the city bus stand of the Bisrampur. This temple is more than 26 years old. It is famous among the Lord Hanuman temples in Surajpur district. 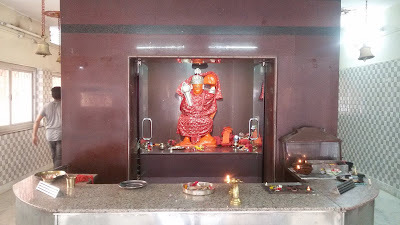 Shree Sankat Mochan Hanuman temple has many facilities for the devotees. There are other god’s temples such as Lord Shiva's Shivling, Lord Ram, Laxman and Sita statues for worship. Temple has lots of space for many religious activities. Drinking water available inside the temple and also outside of the temple. 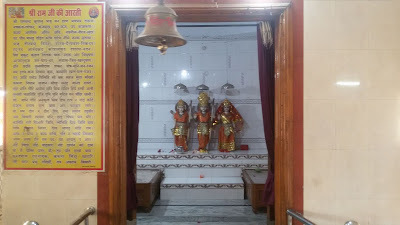 Shree Sankat Mochan Dakshin Mukhi Hanuman Mandir is run and maintained by the Shree Sankat Mochan Dakshin Mukhi Hanuman Mandir Samiti Bishrampur. Various activities in the Hanuman Mandir is organized by the temple Samiti like organizing temple establishing anniversary, Hanuman Jayanti, Bhandara (feast), Hindus new year celebration and celebration of other festivals. Shree Sankat Mochan Hanuman Mandir opens in the morning and evening. During daytime in the afternoon, the temple remains closed. Temple will be crowded in morning time but you can easily be worshiped the Lord Hanuman. Many Lord Hanuman's devotees come to visit the temple in the early morning before starting their routine work. There is no particular Prasad shop available near the temple. But in front of a temple, there is a sweets shop who keep Prasad for offering to the Lord Hanuman in the temple. So you can purchase sweets or Prasad and other worship items from there. 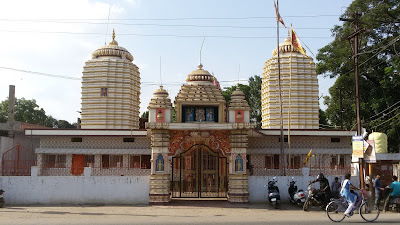 Hanuman temple in Bishrampur is situated on the National highway 42 main road of the Bishrampur near the bus stand. If you asked anyone then anyone guides you very easily. Transport, intercity, tourist and city buses stop at this stand. So everyone easily reaches to Shree Sankat Mochan Hanuman Mandir. Shree Sankat Mochan Dakshin Mukhi Hanuman Mandir is approximately 2 km from the Bisrampur railway station. I visited this temple many times. My relatives are lived in Bishrampur so when I go there I visit the popular temples of the Bishrampur. I will recommend that if you are there then you can go to Ayyappa Shaneshwar Mandir and Shree Sankat Mochan Hanuman Mandir. Both temples are good for meditation and mental peace. You can spend some time there. I will not recommend that you will go Bishrampur, especially for those temples. Instead, if you have the time or you are from the nearby city then you can go there.